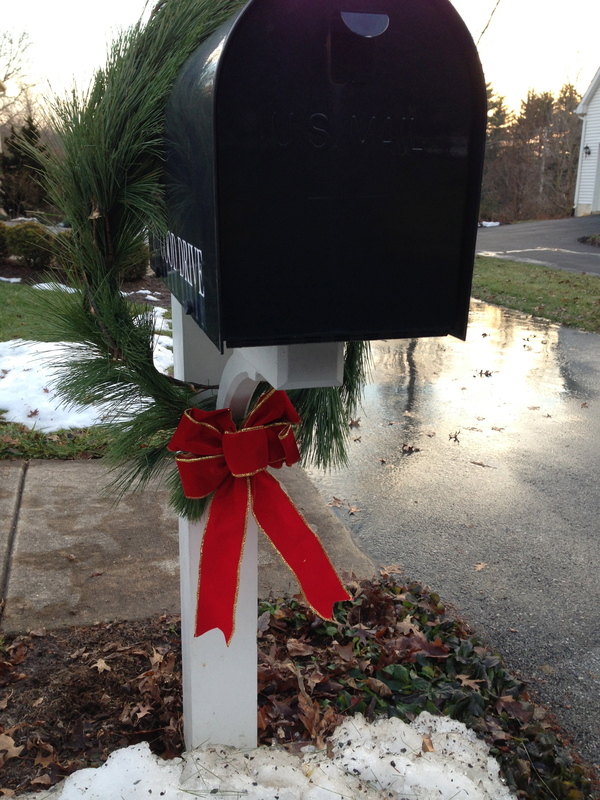 Clump #123: Put up pine rope for outside decoration. The bad news is: I procrastinated buying and stringing up pine roping outside our house until today. The good news: at this late date it was forty percent off, not to mention that we’re suddenly experiencing springlike weather. 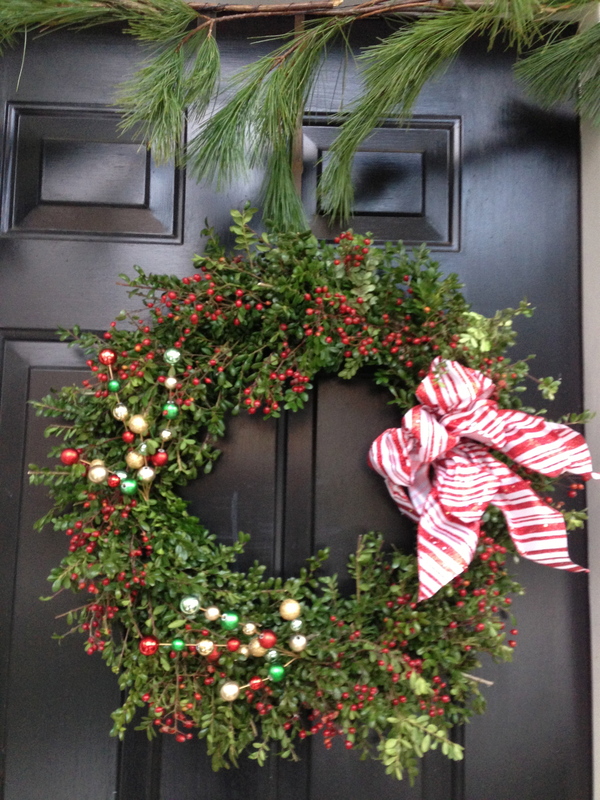 I added some bright, shiny things to this wreath, otherwise it disappears on the black door. 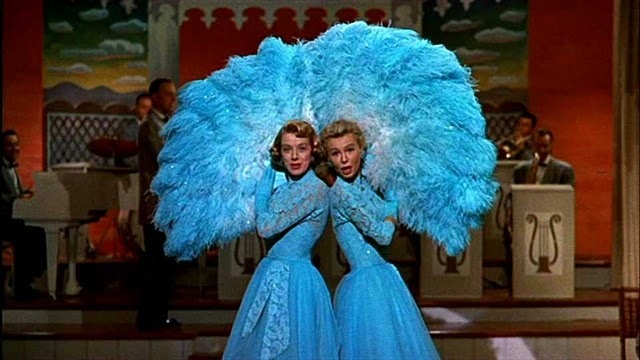 Speaking of melting snow, my younger daughter and I tried and failed to go to a sing-along version of the movie White Christmas today; it was sold out. Waaah. The movie is about characters who go to Vermont expecting a winter play land, but find a green landscape devoid of snow … and a little romance. 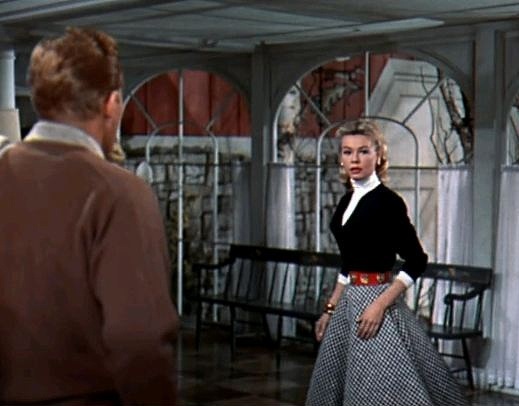 Previously, when I wrote about the movie Holiday Inn, I learned that White Christmas was supposed to be kind of a remake of Holiday Inn, with the same male stars, Bing Crosby and Fred Astaire. Apparently Fred Astaire passed on the role, so they offered it to Donald O’Connor, who got injured before filming. 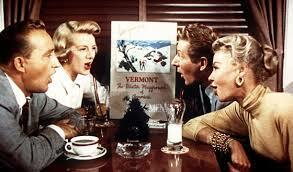 Funny to think that Danny Kaye was the third choice, and hard to imagine anyone else in the role. Sorry you missed the sing-along. But clearly you don’t need the subtitles! Ha-ha! �So true. �We’ll know better next year. �I was really looking forward to meeting Kathy O’Connell of the “Kids Corner” radio show we’ve listened to for years on WXPN, as she was to be hosting. 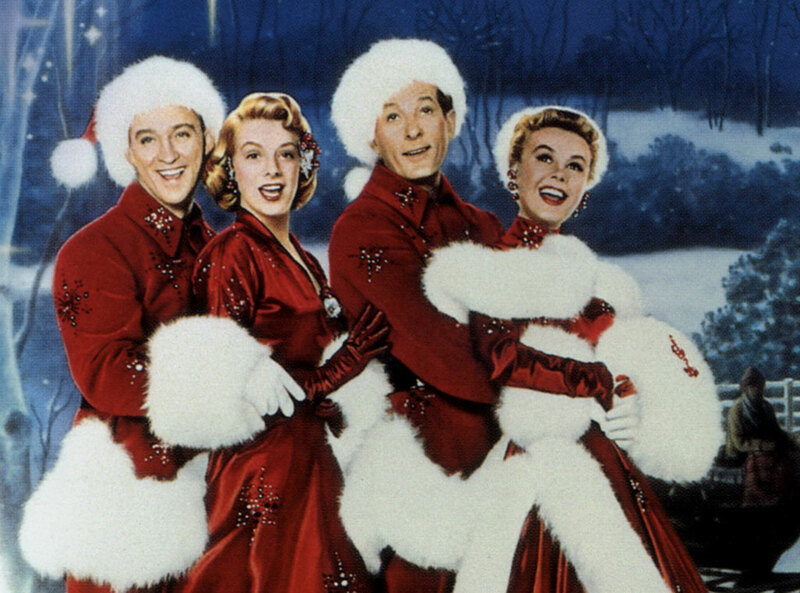 �If you wore a White Christmas-themed costume (we brought a santa hat), you’d get free popcorn. �She said her costume was going to have something to do with the “Sisters” song. �Would have loved to have seen it. �Oh well!